Excel has a new promo they'll help Excel-Erate your ride! Get new exciting line of Excel car accessories! 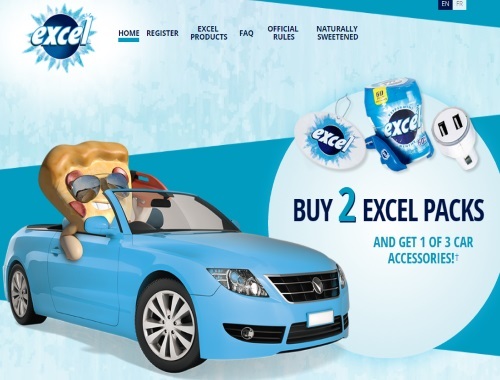 Get 1 of 3 Excel-branded car accessories when you purchase any two participating Excel products. Purchases must be made between January 30 – April 21, 2017. Allow 4 - 5 weeks for delivery. Offer ends April 21, 2017 or while supplies last.